U.S. President Donald Trump’s abrupt declaration that Washington will recognize Israel’s sovereignty over the disputed Golan Heights drew strong condemnation from Syria, while the European Union and countries like Egypt and Russia also rejecting the overture. The EU reiterated on Friday its position “has not changed” despite Trump’s overture. “The European Union, in line with international law, does not recognize Israel’s sovereignty over the territories occupied by Israel since June 1967, including the Golan Heights and does not consider them to be part of Israel’s territory,” an EU spokesperson told Reuters. Trump made his declaration in a tweet. Against this backdrop of hostility towards the U.S. move, Secretary of State Mike Pompeo landed in Beirut after visiting Israel on Friday. He is expected to pile pressure on the government to curb the influence of the Iran-backed Hezbollah. The declaration is the latest in a series of moves that have fuelled anger among Israel’s Arab enemies and U.S.-allied Arabs. It follows the U.S. recognition in December 2017 of Jerusalem as Israel’s capital — a decision that also drew international criticism as the disputed city’s status remains at the heart of the Israel-Palestinian conflict. 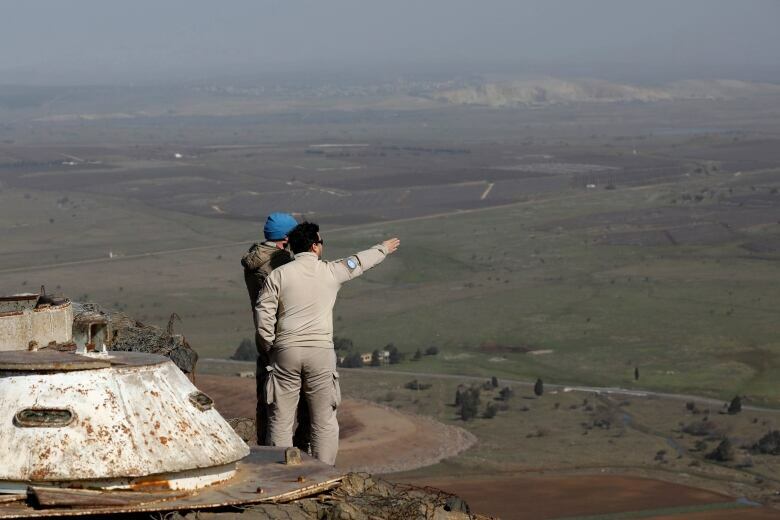 Egypt said it considers the Golan Heights as occupied Syrian land; in a statement carried by state news agency MENA, the Egyptian Foreign Ministry cited UN Security Council resolution 497 of 1981 that rejected Israel’s annexation of the territory. Israeli Prime Minister Benjamin Netanyahu faces an election on April 9 and has been pressing for the United States to recognize Israel’s claim to sovereignty over the Golan Heights. Russia, an ally of President Basharal-Assad with forces in Syria, said Trump’s comments risked seriously destabilizing the region and expressed hope the statement was just declaratory. Turkey, a U.S.-allied state and an adversary of Damascus, also criticized the move, saying it had brought the Middle East to the edge of a new crisis and the legitimisation of the occupation of the Golan Heights could not be allowed. Canada ended a 32-year peacekeeping mission in the Golan Heights in 2006.